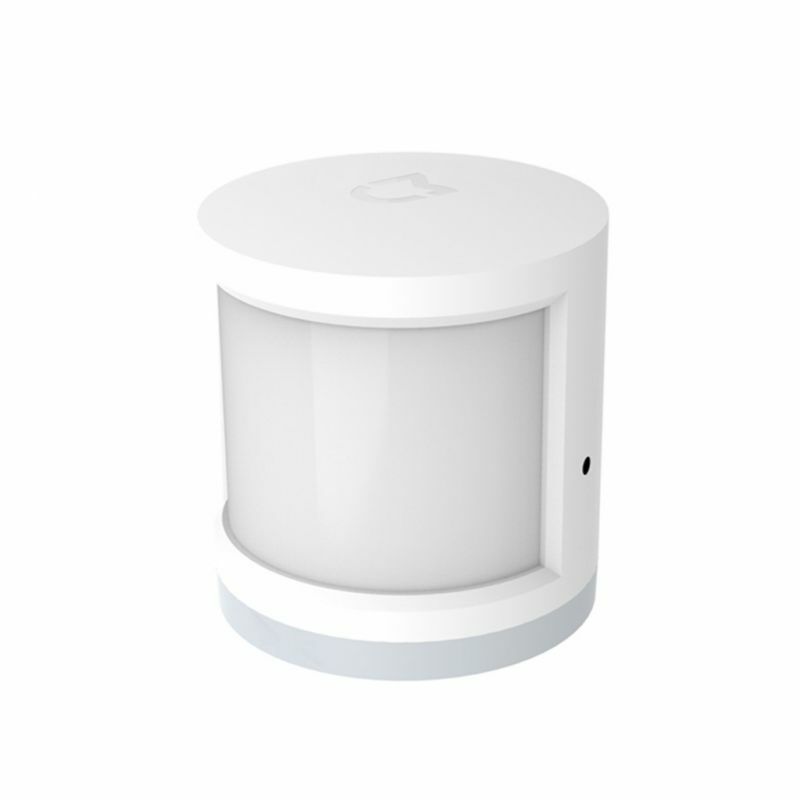 The Xiaomi Aqara Motion Detection Motion Detector detects the presence or intrusion into a room. The motion detector works with a 3V CR2450 button cell. It is an infrared motion detector. It will automatically trigger the lighting of a lighting, send a notification on your smartphone in case of intrusion, trigger a siren … This motion detector is really very discreet. It is a small cylinder 3cm in diameter and 3.3cm high. It is fixed with a sticker on the lower cover. There is also an adjustable mounting system that can be purchased separately. The maximum detection distance is 7m at 170°. The Xiaomi Smart Home gateway and Mi Home app for iOS and Android is required. It is also possible to use the motion detector on most open source home automation software (Jeedom using a plugin, Domoticz or Home Assistant). To learn more, you can read this tutorial of unpacking the kit Xiaomi Smart Home 6 in 1 and this one for an example of integration in Home Assistant. This product is available at Zapals, Banggood, Gearbest, DealExtreme, AliExpress, Newfrog.com, TinyDeal. At zapals.com you can purchase XIAOMI Mi Smart Human Body Sensor Infrared Motion Sensor Detector for only $10.50, which is 45% less than the cost in TinyDeal ($19.14). The lowest price of Original Xiaomi Mijia Mini Human Body Sensor f Xiaomi Smart Home Suite was obtained on 6 September 2018 23 h 03 min.